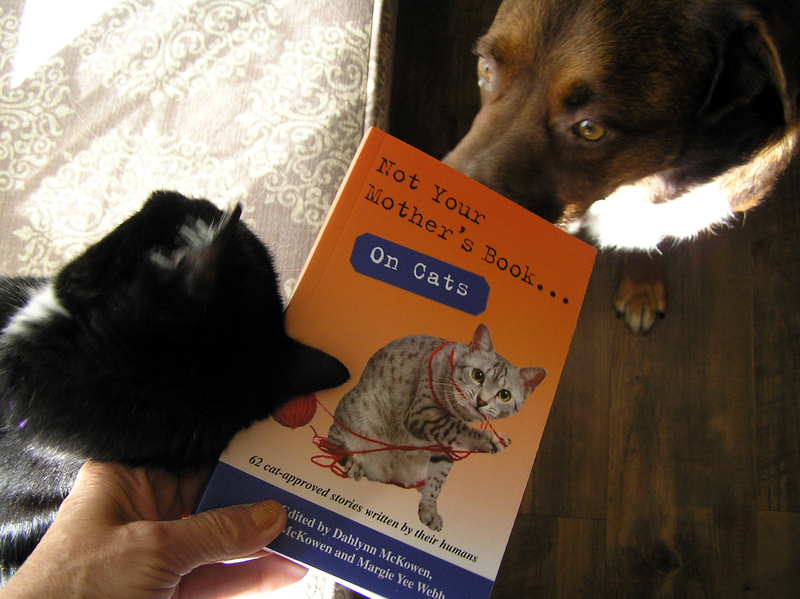 Just received my contributor copies for Not Your Mother’s Book on Cats by Publishing Syndicate. 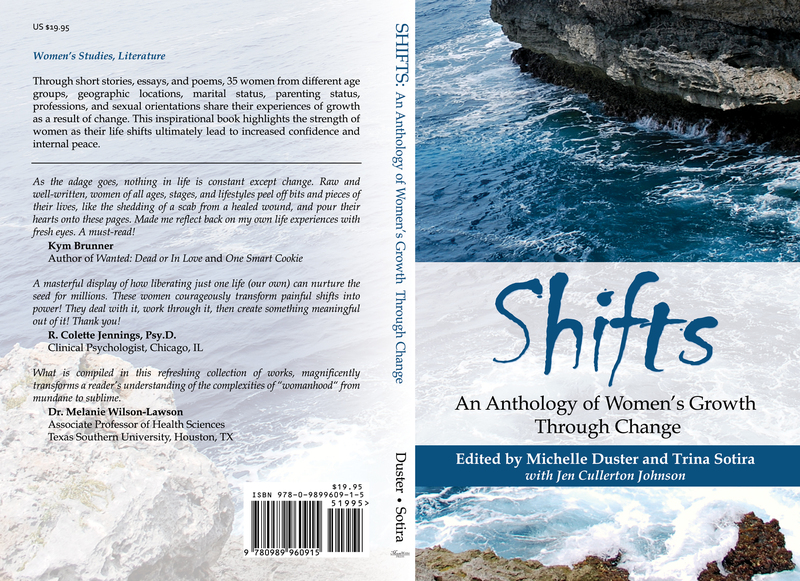 Happy to say my story about our butter-loving cat, Midnight, made it to print. The essay is titled “Breakfast with the Queen” and touches on her adoption with rise to royalty status in our household. She loves butter. Really. 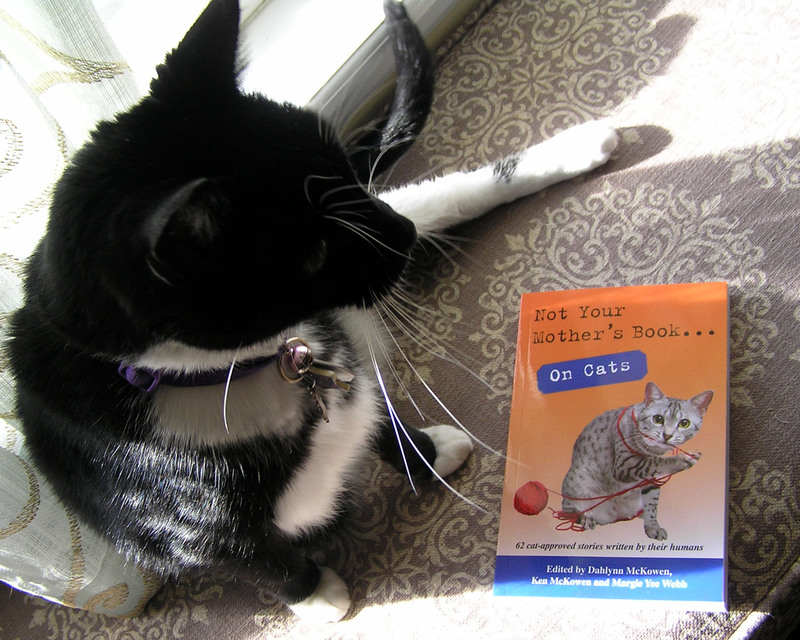 So you’ll just have to buy the book and read about it! 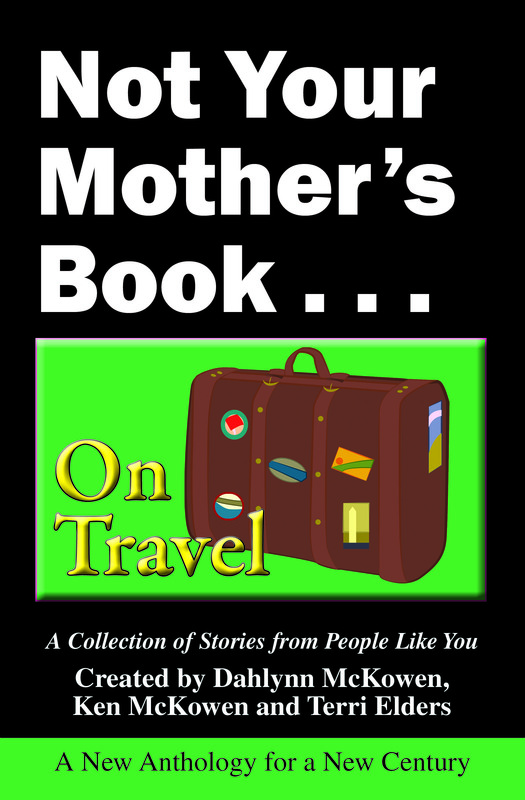 Some other author friends and acquaintances are also in the book with equally funny and heartwarming stories about their cats – Pat Wahler, Terri Elders, Pat Nelson, T’mara Goodsell, Dianna Graveman and Sioux Roslowski. Here’s a couple pics from our animal family. They’re excited to read about their feline sister in the book.